Remember the old saying: “Give a man a fish, feed him for a day. Teach a man to fish, feed him for a lifetime.” The same applies to any skill. Obviously, if you learn to do something from reading a book, or going on a day course, you are never going to be as proficient as a professional who spends all their time immersed in their skill, but this doesn’t mean that your skill isn’t useful. You can pay for a massage therapist to come out to your horse. A one-off payment will get your horse one session of massage, which he will greatly appreciate! Or you can learn to massage your own horse, and while you might not think you are as good as the person that does it professionally, you will then be able to give your horse a massage everyday. We offer two routes towards learning to massage your own horse. Please remember neither of these are training you to become a professional massage therapist, but rather to be able to massage your own horse for your and their pleasure! You can book your place on Sue Palmer’s Charity Massage Course, with all profits going to fund a little boy to ride with the RDA. This is will get you a fantastic day with hands-on learning and instruction, leaving you confident and capable of massaging your own horses. Or, if courses aren’t your scene, take a look at our popular book and DVD bundle deal “Horse Massage for Horse Owners.” This instructional combination will show you the principles of massage and allow you to work your way through the sections in your own time. 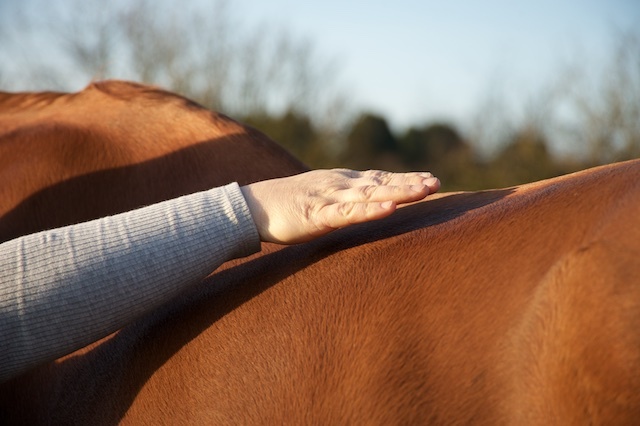 Whichever you pick, taking the time to learn to massage your horses will give you hours of pleasure and enjoyment in the future, while also giving you the opportunity to give something back to your horses. Next Next post: Ethical – what does it mean to you?